There's is a beautiful original painting currently on display at the Art of Disney store in WDW. 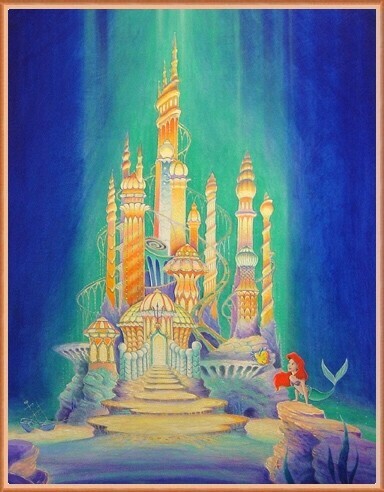 This beautiful piece was made by talented artist Randy Souders (he is also known for other great Disney paintings). Here's a pic of this piece, "Triton's Castle"